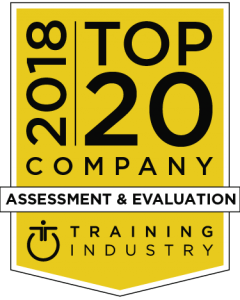 Training Industry today announced its selections for the 2018 Top Training Companies™ lists for the Assessment and Evaluation sector of the learning and development market… and Genos International has made the list yet again! “Among Genos International’s accomplishments are a series of leadership enhancement programs and a unique emotional intelligence assessment, the Emotional Aperture Measure,” said Danielle Draewell, market research analyst at Training Industry, Inc.
Training Industry, the leading research and information resource for corporate learning leaders, prepares the Training Industry Top 20 reports on critical sectors of the training marketplace to better inform professionals about the best and most innovative providers of training services and technologies. 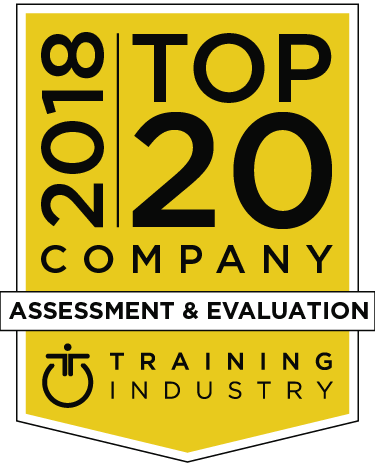 View the 2018 Top 20 Assessment and Evaluation Companies. We’re so thrilled to receive this award again this year. Many thanks to our partners around the world who champion the Genos brand!